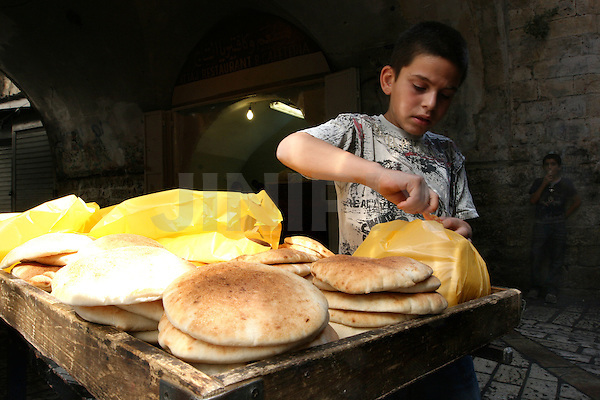 Portrait of Ahmed, a 10 year-old Palestinian boy who works in one of the markets in east Jerusalem's old city. July 3, 2008 . .Photo by : Tess Scheflan/ JINI.